From Pikachu to Charizard, Pidgey to Geodude, the colorful cast of Pokémon characters have been entertaining audiences all around the world for more than 20 years. They have spawned a number of television shows, movies, comic books and video games too, including a number of free Pokémon games you can play online. The official website for The Pokémon Company features a section with several free Mini-games that you can play from right within your web browser. They are relatively simple and straightforward in scope, offering the same kind of 'pick and play' appeal as casual games on mobile devices. In Togedemaru's Hop-to-the-Top, you simply click and hold your mouse pointer to guide the rodent-like Pokémon up a series of tree branches, collecting fruit along the way. Another great offering is Pokémon Pulse. In this frantic, arcade style game, you click to remove energy orbs that don't match the Pokémon on that row, ensuring that only matching orbs reach them. The original Pokémon trading card game has been completely digitized and taken online. 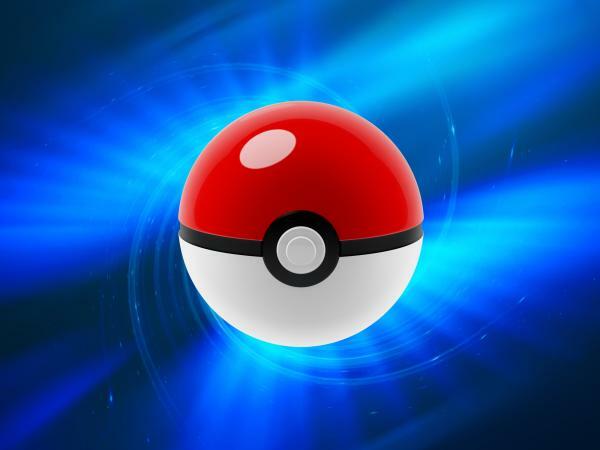 Available for download for Windows, Mac, iOS and Android devices, Pokémon TCG Online features an online server so you can play with other people all around the world. You can start with a standard Pokémon theme deck or you can build up your own custom deck with cards of your choosing. In the Trainer Challenge, you battle against computer-controller opponents to help develop your strategy. There are daily challenges to earn booster packs, an in-game trade system, and periodic tournaments for added rewards too. Zephyr Epic says this online game is basically just like the real-life original version, "just at a faster pace and with more opponents to face." The unofficial Pokémon Mega is formatted like a mobile game, in that it is shown as a vertical screen, but you can play it from right within your web browser for free. You start by choosing your trainer and then selecting your first pet: Charmander, Squirtle or Bulbasaur. From there, the story begins in a top-down, role-playing game (RPG) type of format. Level up your trainer and Pokémon, collect in-game resources, expand your team, and challenge other Pokémon you encounter along the way to impromptu battles. Featuring a retro video game art style reminiscent of the 8-bit or 16-bit era, Pokémon Planet is a free-to-play online game where "you will never be forced to spend a dollar." Building on the appeal of the franchise, this game boasts hundreds of Pokémon that you can catch, train and evolve. Much like the classic Pokémon games, you also start out by meeting with Professor Oak and selecting a starter Pokémon. From there, you explore the various regions and areas in the game to encounter new Pokémon and battle gym leaders. This is a massively multiplayer online (MMO) game with a lot to explore. MMOSquare calls it a "must-play" that is "faithful to the mainstream titles." Blending the storytelling and levelling-up dynamic of role-playing games with the frantic action of a tower defense game, Pokémon Tower Defense on the CrazyGames website offers a slightly different take on the franchise. You start out with just a single Pokémon, but you quickly capture many others, levelling them up with experience and unlocking new attacks. In the game itself, you will be faced with several waves of incoming Pokémon. You will need to arrange your Pokémon on the map to attack the invaders, protecting the candy in the path. They will attack automatically, but you can select the type of attack and the strategy behind their attacks. For example, you could focus on the fastest invader or the one with the least health. In addition to these free online games you can play on your computer, there are numerous options available on just about every video game console. One example is the wildly popular Pokémon GO title for mobile devices, which offers a tremendously immersive experience. After you play a few of these games, you just may discover that you are the very best, like no one ever was!